The Stories of Bike episode has been released featuring me, Kristen Reed. 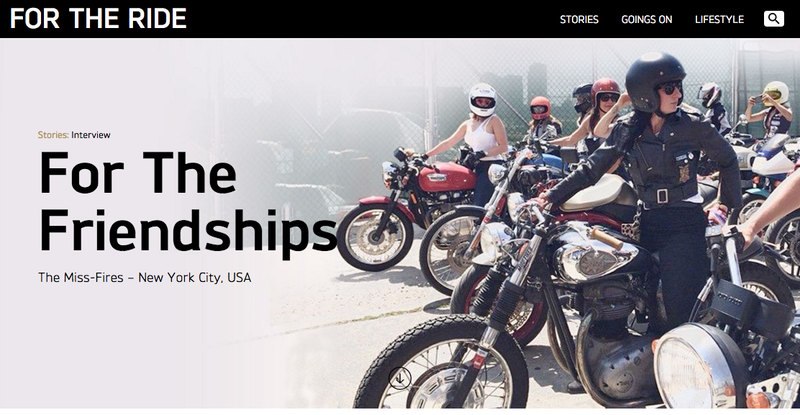 Come experience NYC from my perspective on my 2013 Bonneville, from hanging out with the Miss-Fires, to band rehearsal with The Rosewood Girl, to riding in the annual Distinguished Gentleman’s Ride. It’s a beautifully made video by Cam Elkins and Brian Stansfield. Thanks to everyone who helped make it such a wonderful experience!